This is a lesson for 3rd grade math about the concept of a fraction. Students color parts to illustrate fractions, write fractions from visual models and from number lines, and learn to draw pie models for some common fractions. Lastly they divide shapes into equal parts themselves and show the given fraction. Fractions are formed when we have a WHOLE that is divided into so many EQUAL parts. ONE part is one half. ONE part is one sixth. ONE part is one tenth. the whole has four equal parts. There are seven equal parts. the whole has five equal parts. we have (the colored parts). the whole is divided into. (thirds, fourths, fifths, sixths, sevenths, and so on). 1. Color the parts to illustrate the fraction. 2. Write the fractions, and read them aloud. How many parts is this “whole” divided into? Count. You should get 8 parts. How many of them are colored? 3. Write the fractions, and read them aloud. 4 o'clock, and 8 o'clock. split those like a cross pattern. 4. Draw the pie models and color the parts to illustrate the fractions. 5. Color in the whole shape = 1 whole. Then write 1 whole as a fraction. 6. Divide the shapes into equal parts, and color some of the parts, to show the fractions. a. Divide the shape into two equal parts. b. Divide the shape into three equal parts. c. Divide the shape into six equal parts. d. Divide the shape into four equal parts. e. Divide the shape into three equal parts. f. Divide the shape into five equal parts. g. Divide the shape into four equal parts. 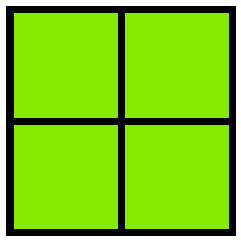 h. Divide the shape into four equal parts. 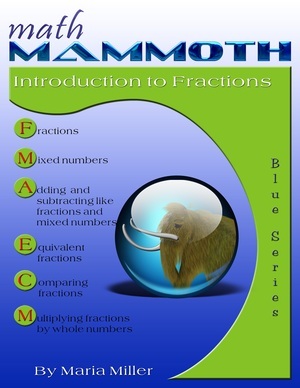 This lesson is taken from Maria Miller's book Math Mammoth Introduction to Fractions, and posted at www.HomeschoolMath.net with permission from the author. Copyright © Maria Miller. A self-teaching worktext for 2nd-4th grade that covers fractions and mixed numbers, adding and subtracting like fractions, adding and subtracting mixed numbers, equivalent fractions, comparing fractions, and finding a fractional part using division. Download ($5.30). Also available as a printed copy.